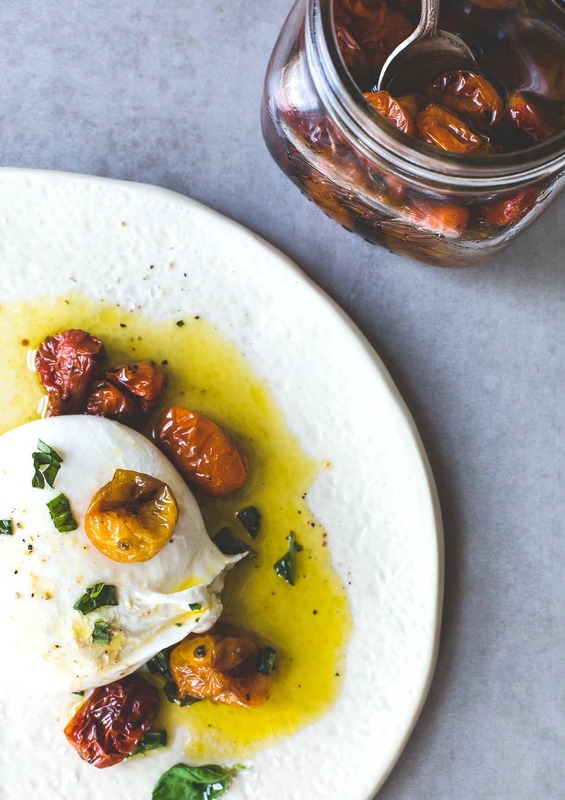 Remember those Slow-Roasted Cherry Tomatoes and Garlic Preserved in Olive Oil? I’ve heard from so many of you who’ve made a batch, savoring summer a little longer. As simple as they are to make, they look and taste like something that comes out of a fancy Italian eatery. Somehow they work their way into just about every meal of my day lately. Eggs, pasta, an avocado toast topper, smooshed inside a grilled cheese sandwich, you name it. But my absolute favorite way is mounded atop a soft and creamy ball of burrata cheese, with ribbons of fresh basil. The seasoned olive oil drizzling down the side and into each swipe of the knife…. sweeping up a sweet, blistered tomato for the perfect bite, just as in the video above. Surely it’s not really a recipe, but it was too delicious not to share with you! 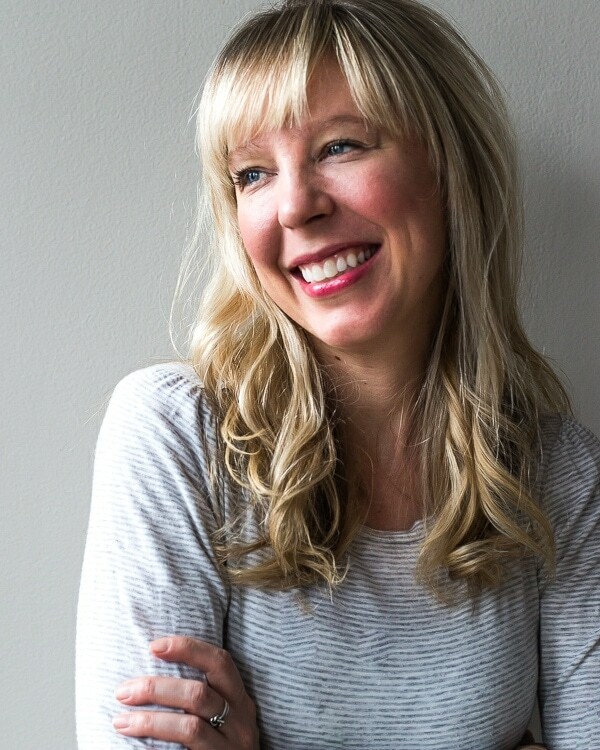 I included a few tips about serving as well, so the next time you’re in need of a quick appetizer, you can pull that jar of savory tomatoes from your refrigerator, and this idea from your food inspiration memory bank. I feel like we’re doing more inspirational cooking anyways, instead of always from a book. And I love that. It gives you a chance to be creative and put your own twist on things. note: If you can’t find burrata cheese, buffalo mozzarella would also work, but I would cut it into slices, then spoon the tomatoes over the top, as it isn’t as spreadable typically. Go forth and enjoy, xo. 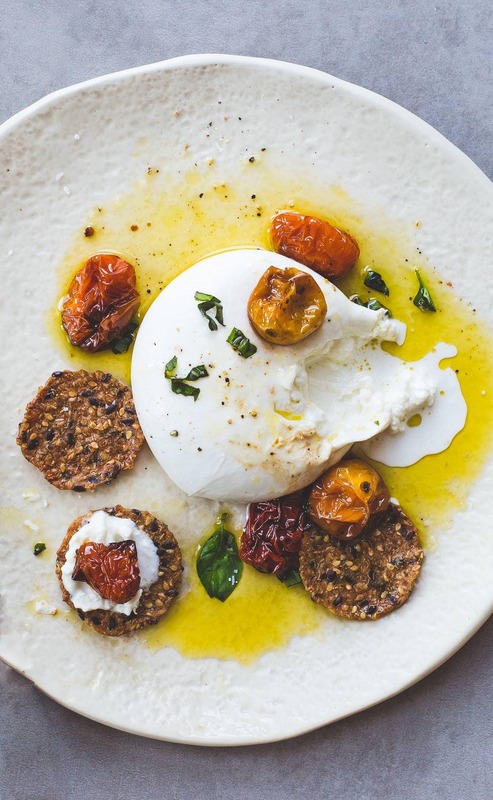 If you make this burrata recipe, tag me on Instagram, @heartbeetkitchen, or with hashtag #heartbeetkitchen! 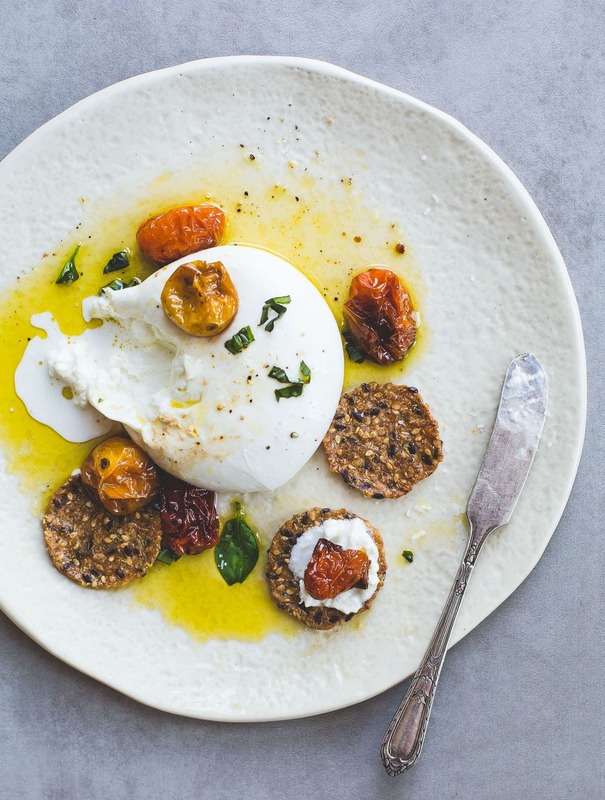 Make sure to let the burrata and tomatoes come to room temperature. This allows for optimal flavor of both, and ensures the cheese is spreadable and gooey in the center when you break into it. 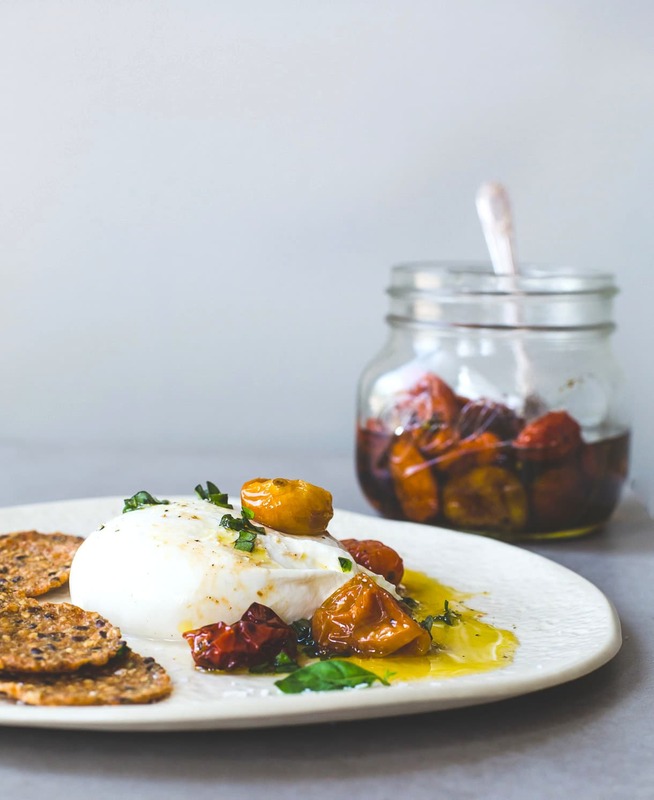 Pull tomato jar out of the refrigerator, along with ball of burrata, and let both come to room temperature. Sprinkle with salt and freshly ground pepper, then spoon tomatoes and olive oil over the top, as many as you'd like. Sprinkle with fresh basil. Serve. *This post contains Amazon affiliate links, which I may make a small commission from should you purchase. Oven roasted tomatoes and fresh mozzarella with a really good balsamic and a touch of olive oil is one of the most amazing things to eat! I roast my halved tomatoes (not cherry) for about 12 hours at 225. YUM!!! PS LOVE LOVE LOVE MARY’ S CRACKERS. What a perfect appetizer. So fresh, beautiful and delicious as always my dear! My dream come true on a plate!! Such a stylish little video too! 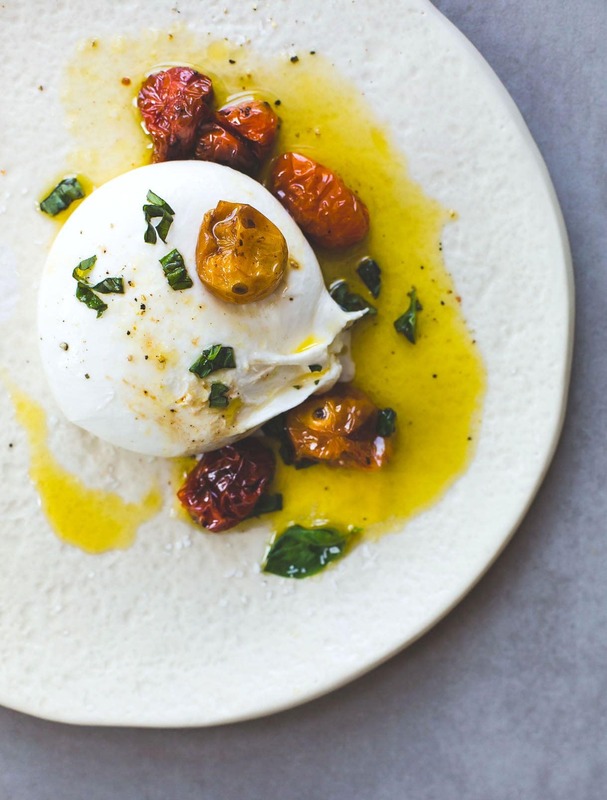 Burrata is the BEST! ANd I knew right away from the photo that those crackers were Mary’s Gone Crackers — aren’t those the best ever? My favorite too!